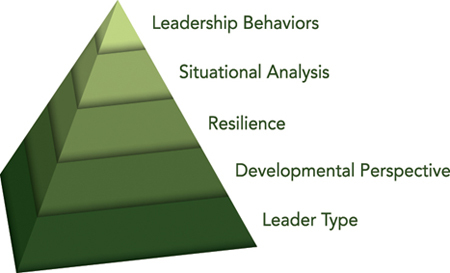 For leaders to consistently deliver results as defined above, there are five key domains that must all function cohesively at a high level of competency. The assessment gives you a tool to evaluate your competence against each of these domains. You can then use the assessment results to determine where to focus your developmental efforts and also understand your strengths.